Today is a huge day for the royal family because the first portrait of Princess Charlotte with her brother Prince George has been released. Let me tell you, it is the most adorable thing you will ever see, I promise. The princess poses alongside her brother in the photo, and they really make quite a pair! Prince George is working a side comb-over like no other, with his socks pulled up high. He looks the youngest little grandpa you’ll ever see (and that's a good thing). So proper at the ripe old age of 1. And his sister looks purely angelic in an all-white knitted ensemble that seems to have come from Irulea, the same place where the outfit that she wore home from the hospital was purchased. It seems as though the princess already has a favorite brand! The all white-sweater with lace trim sticking out of the top is just too much. The various textures of the sweater add a little dimension to this monochromatic look. 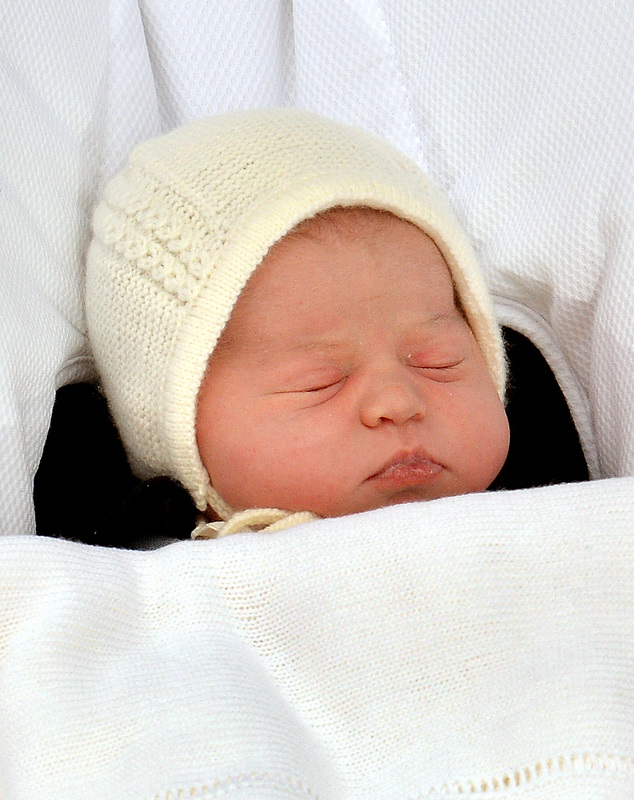 But even without that, Princess Charlotte does the all-white look better than anyone else. I hope she continues to wear the color throughout the summer, because, I mean, how on trend is she? Take a look at the adorable royal babies here, but make sure you’re sitting down because you might pass out due to all that cuteness. Visit Irulea's website to get this Princess Charlotte-esque ensemble for your little one.